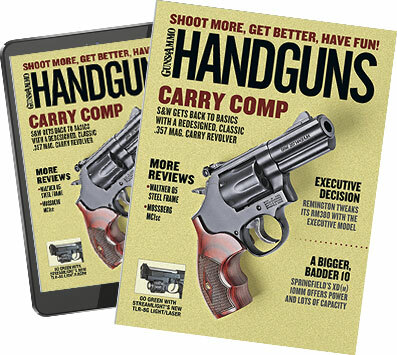 One of the early handgun makers was Hopkins & Allen Arms Company, which made a variety of revolvers over a number of years at its Norwich, Connecticut, facility. Charles Allen, Samuel Hopkins and Charles Hopkins opened shop in 1868 with several partners. 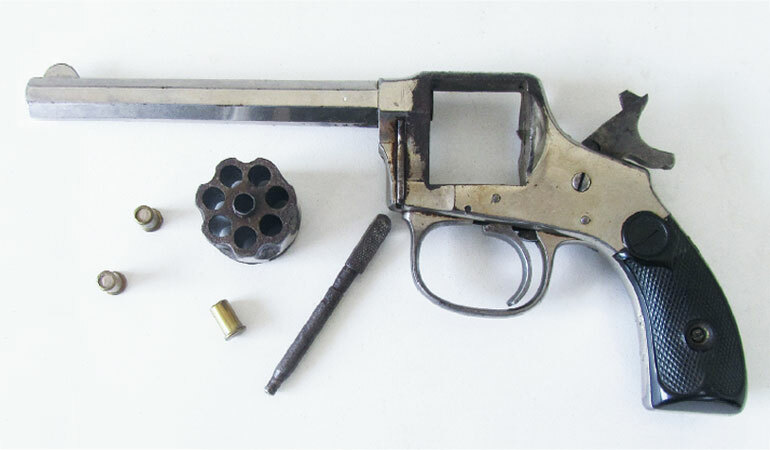 The first models were .31 caliber percussion revolvers because the Rollin White patent did not allow other makers to make cartridge guns as we know them today. When the patent expired, Hopkins & Allen started producing .22, .32 and .38 caliber revolvers as well as shotguns and rifles. The company went through several changes in management over the years, and at its peak it employed 600 workers and made revolvers under many names—ACME, Captain Jack, Defender, Monarch, Mountain Eagle, Ranger and many more. It also built Merwin and Hubert revolvers in .44-40 and .44 calibers. During World War I the firm also produced Model 98 Mausers for Belgium until that country was invaded by Germany. The abrupt end of the Belgian contract spelled financial doom for the company, and it went bankrupt in 1916—the plant, designs and inventory purchased by Marlin-Rockwell. The Hopkins & Allen hammer design looks weird, and at first glance it would appear to have a broken hammer, but I fired it and it is functional. Various other models in the Hopkins & Allen line have that type of hammer.